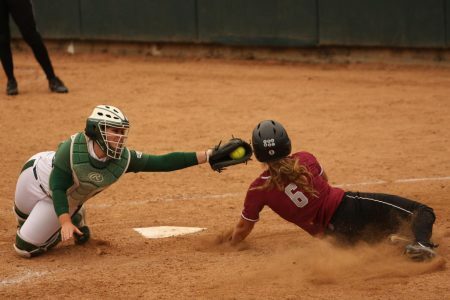 The Sacramento State softball team won two out of three games against the University of North Dakota in its final home series of the year on Friday and Saturday at Shea Stadium. 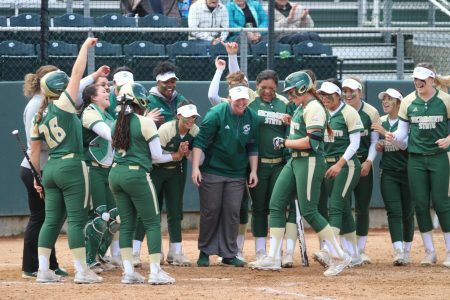 The Hornets (27-16, 12-6 Big Sky Conference) — which moved into a first-place tie in the Big Sky with Weber State — lost in game one of the series to the Fighting Hawks (22-24, 8-7 Big Sky) 1-0 after a solo home run from senior pitcher Kaylin VanDomelen in the second inning. VanDomelen, who had North Dakota’s only hit, threw a complete-game shutout while striking out five batters and only giving up five hits. 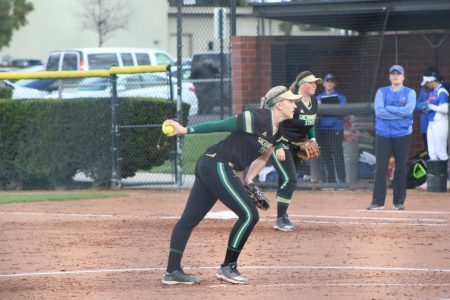 Sac State senior pitcher Celina Matthias threw a complete game in which she struck out 11 batters and only allowed one run on one hit. 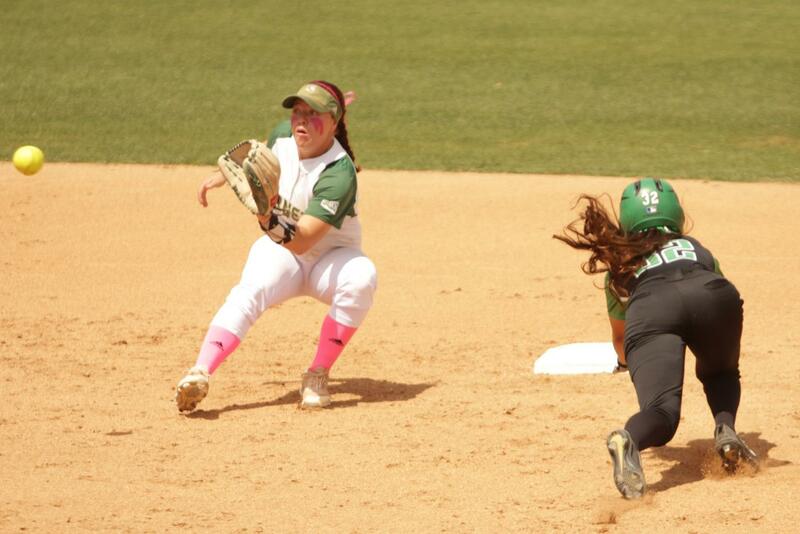 Sacramento State junior shortstop Sydney Rasmussen prepares to catch the ball as University of North Dakota sophomore third baseman Victoria Minor slides in safely at second base during a steal attempt at Shea Stadium on Friday, April 27, 2018. The Hornets lost to North Dakota 1-0. 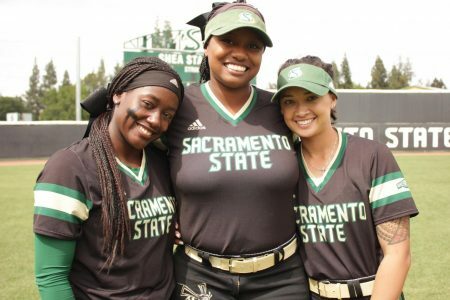 Sac State senior second baseman Zamari Hinton, who went 1-for-3, struck out for the first time in a season in which she is ranked first in the nation in the toughest to strikeout category. 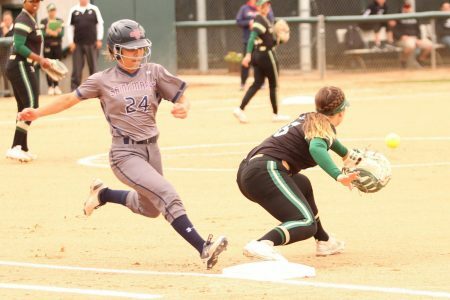 Junior outfielders Nene Alas and Sydnee Strong, sophomore outfielder Suzy Brookshire and senior third baseman Marissa Maligad each had one hit in game one on Friday. The Hornets then bounced back by taking game two of the series from North Dakota with a 4-2 victory. Brookshire hit a two-run home run in the first inning and went 3-for-3 with two RBIs. Alas went 2-for-3 with an RBI, while Maligad added another RBI after going 1-for-3. Junior pitcher Savanna Corr threw five innings, giving up two runs on four hits and striking out two batters. 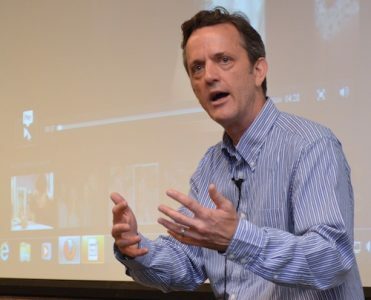 Matthias, who came in as relief for Corr in the sixth inning, threw two shutout innings while giving up one hit and striking out three batters. 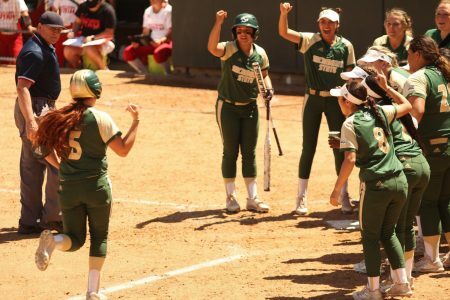 Sac State took the series after a 4-1 win in Saturday’s game three on senior day. Maligad, Hinton and Matthias were honored before the game for their contributions to the program. The victory was helped by Brookshire’s first-inning solo home run during her 2-for-3, two-RBI performance. 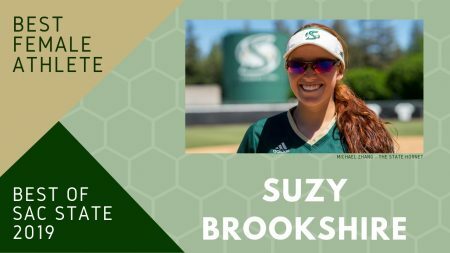 The home run was her 14th of the season which is one away from tying the Sac State Division I program record that she set last year. 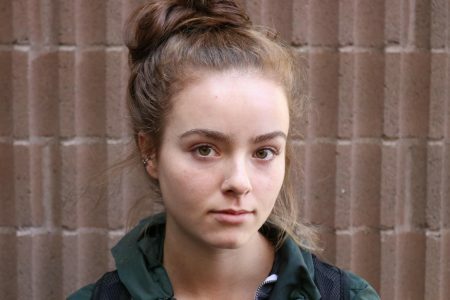 Hinton went 2-for-3 while Alas, Maligad and junior shortstop Sydney Rasmussen each had a hit. Matthias threw a complete game, giving up one run on five hits and striking out four batters in her final home game of her career. 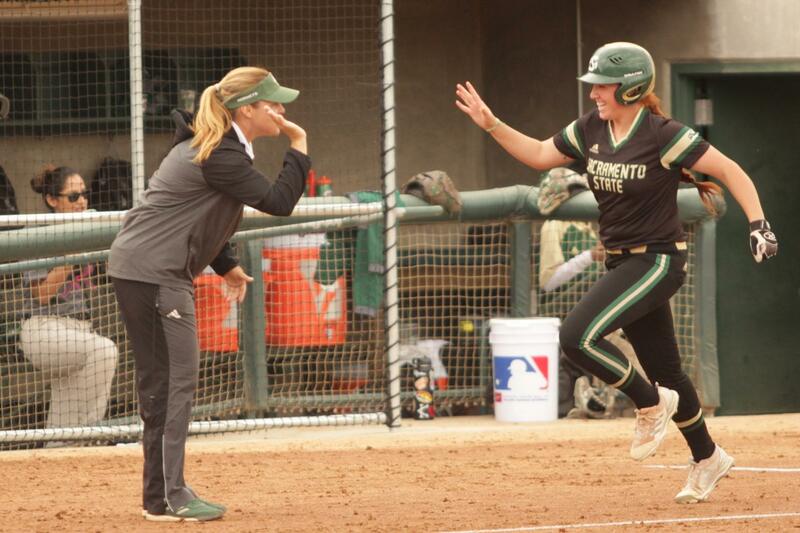 Sac State coach Lori Perez said Corr and Matthias did well pitching this weekend while her team did well to battle offensively against VanDomelen, a former Big Sky Pitcher of the Year. 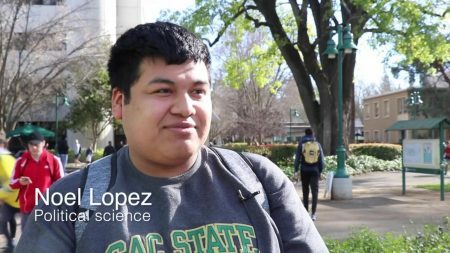 “Senior day couldn’t have come at a more perfect time just to remind us to have fun, enjoy each other and enjoy our seniors,” Perez said. 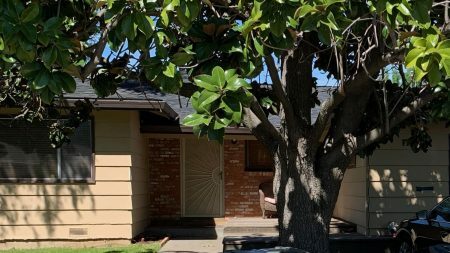 “It created a lightness that we needed. 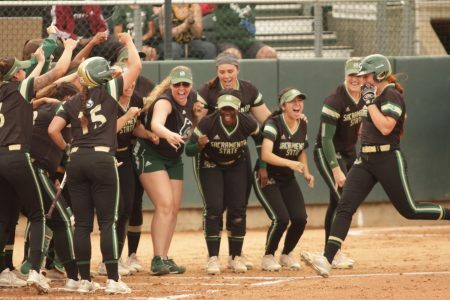 If Sac State can finish with a better conference record than Weber State (25-21, 12-6 Big Sky), the Hornets will win the Big Sky regular season title and host the 2019 Big Sky Championships at Shea Stadium. 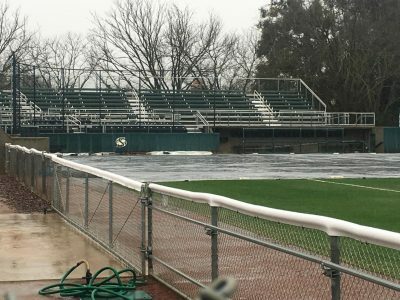 The Hornets finish their regular season on the road against Cal on Wednesday in Berkeley at Levine-Fricke Field and against the University of Montana in Missoula on Friday and Saturday at Grizzly Softball Field.